Aviana Vasko graduated from Walsh College last year and is planning to return and begin working on her master’s degree in September. That’s not only a testament to her determination, but to her business savvy as well. 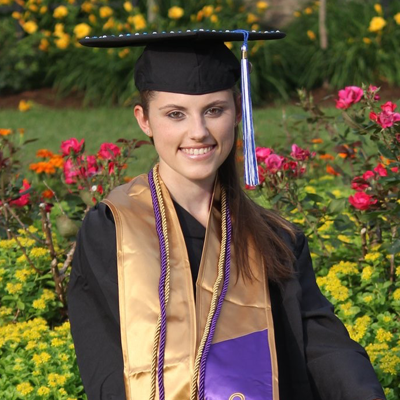 With the money she saved at Macomb, Vasko had reasoned, she would be able to afford a bit more traveling, she’d already visited Europe and Aruba, and an early start on her master’s degree. So far it’s all going according to plan. When she was a student at Macomb, Vasko could often be found in the library studying, where she appreciated the close proximity of coffee and pre-made sandwiches. An amateur photographer, she had plans to open her own studio. At first, she took accounting and marketing courses at Macomb because it made sense to know the practical side of running a small business. But, then, she discovered that she was good at it. Vasko earned a Bachelor’s of Business Administration Degree from Walsh, taking most of her courses online or at the University Center on Macomb’s Center Campus. A quality assurance associate with i3Logic, Vasko is finding the experience invaluable as she learns about the business culture. She believes a master’s degree in marketing will open up more doors for her as she makes her way toward her dream job: head of a marketing department. And that, says Vasko, is what Macomb and Walsh have done by showing her how to combine creativity with her own innate business sense. “The Future in Motion,” is the slogan of Continental AG, the international, tier one auto supplier that employs Mike McMillan, Macomb Advanced Automotive Technology graduate, as a lead test and validation engineer. And he personifies it well. McMillan studied IT for a year at Oakland University before hearing about Macomb’s Center for Advanced Automotive Technology. He’d always liked cars and began to think that becoming a certified mechanic would be his niche in the workplace. He transferred to Macomb, earned his Associate of Applied Science Degree in Advanced Automotive Technology and discovered a new career pathway. McMillan graduated from Wayne State University in 2014, after receiving a full-ride, transfer scholarship. 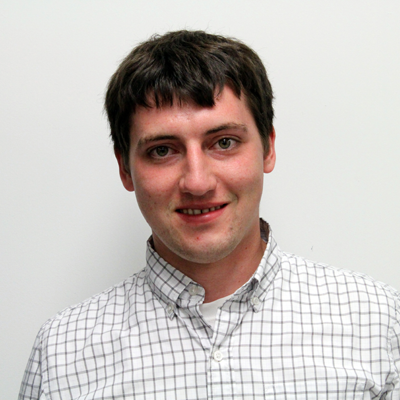 He’s been at Continental for four years, working as a software testing engineer and components test engineer before he was promoted to his current position, in which he is responsible for implementing test strategies. That new direction, he notes, is partly attributable to the experience he had at Macomb. His skills as a certified mechanic, however, still come in handy. McMillan drives a Chevy Volt to work, but began racing his turbocharged Dodge Neon SRT-4 last year. He intends to do the same with his Eagle Talon and Yamaha FJ-O9 motorcycle. 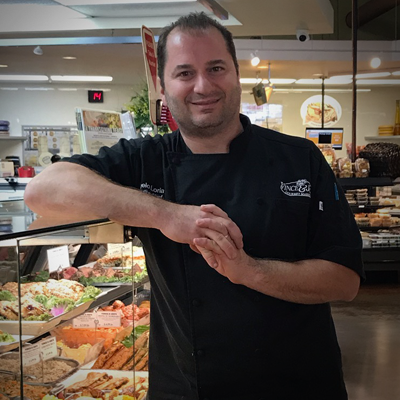 When Angelo Loria enrolled in Macomb’s Culinary Arts program, he had already earned a bachelor’s degree in computer engineering from Oakland University (OU) and had worked for 10 years at Ford Motor Company. Loria, now executive chef at Vince and Joe’s Gourmet Markets, grew up in a Sicilian household where food was the centerpiece of family life. Today, he makes regular visits to his poultry supplier in Ohio and is proud that when corn is in season, it’s still warm when it arrives on the loading dock from local fields. On Sundays, his day off, he loves nothing more than engaging his children (ages 2, 4 and 6) in making an apple crostata a batch of red sauce. Transforming that passion into a marketable skill, however, required long hours and hard work. He studied pastry arts and restaurant management at Macomb, where, he says, “The chefs set us up to succeed with the right amounts of passion and focus.” When students were asked to volunteer to help prepare food for the golfers competing in the 2008 PGA Tournament at the Oakland Hills Country Club, Loria quickly signed up. That would lead to his first professional culinary job as a prep cook at the country club, after Chef O’Farrell of Macomb’s Culinary Arts faculty put in a good word for him. Loria progressed through several chef’s positions, eventually becoming the country club’s executive chef. But the hours were long and some nights, he offers, “I slept in the locker room.” So when his wife Rosalee found him a new job, as executive chef at the Fox Theatre, he was more than happy to accept. “The Ilitch’s personal chef was my direct boss,” relates Loria, who assisted with all the Olympia entertainment events. From there, he went to the Grosse Pointe War Memorial, where he oversaw a revamping of both the menu and the banquet facilities. This allowed him to use all the skills he had amassed in cooking, catering, beverage management and purchasing and, he says, “It was a great experience.” He might still be there if Vince and Joe’s hadn’t offered him a job, not once but twice, until he accepted. Loria oversees the preparation of all takeaway dishes sold at the markets. He supervises wine tastings, special events and offsite catering, and manages social media. And he can often be found helping a customer find that just right something for the evening meal or sifting through papers in his office for a recipe to share. And does the executive chef have his own favorite? When the American-born Shandana Shah moved with her mother from Sterling Heights to her parents’ native Pakistan just before starting high school, barriers of both culture and language prevented the Macomb alumna from expressing herself to the extent she was accustomed. Now Shah is making up for it as a communications major at the University of Michigan. Shah took a year off after graduating from high school to think about what she wanted to do. Her mom wasn’t quite ready to return to Michigan, and Shah wasn’t quite ready to commit to a major or a school. By the time they resettled in Roseville, Shah had decided she would attend Macomb. At Macomb, Shah excelled in her studies and was invited to join Phi Theta Kappa, the international honor society for community college students. She volunteered for an alternative spring break trip to New York, where she and other Macomb students, supervised by Daniel Thurman, Macomb’s associate dean of Student Success, prepped, packaged and delivered healthy meals to those with serious illnesses. She was also selected for a paid Community College Summer Research Fellowship at the University of Michigan, a 10-week program that introduced her to one of Michigan’s most venerable institutions of higher learning. While living in Pakistan, Shah, who loves to read, found an expressive outlet in creative writing. After taking Marketing, her first class at Macomb, she hopes her passion for words will translate into a communications or marketing career. 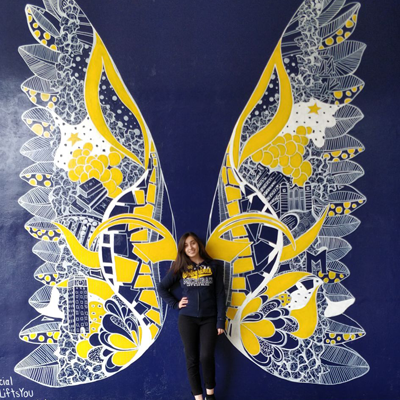 Now in her second semester at U of M, she is availing herself of all the cultural opportunities the university and Ann Arbor have to offer, as evidenced by the photo of her in front of the Michigan Wings mural in the city’s downtown. 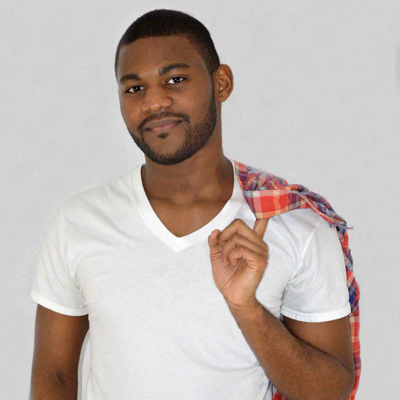 At age 26, Macomb alumnus Edmon Armstrong has already led a storied career in entertainment, which includes a one-on-one meeting with “Darlene” from TV’s Roseanne and The Conners. More on that later. It all began with a search for internships. Armstrong was in the process completing three (almost four) degrees at Macomb and wanted to prepare for his transition to the workforce. After building up enough experience, Armstrong was hired in to the Disney College Program in Anaheim, California. From there, he set his sights on Los Angeles, where he started performing television background work. In 2017, he landed a job as a Production Assistant (PA) with Reasonable Doubt on Investigation Discovery. “It just went from there and snowballed,” says Armstrong. “You just need somebody to say ‘yes’ to you one time.” He went on to work for several other network and cable TV shows, including America’s Got Talent and Veep. On a related note, Armstrong recommends that new Macomb students socialize and “be willing to walk into a club, come into the K Building (South Campus Student and Community Center) and actually see what’s going on.” And, while he believes it’s important to have a clear academic plan, Macomb provides “a place where people can test out the waters in a safe environment that is also going to have some merit, because general studies is everywhere.” In the midst of required classes, Armstrong notes for example that a student may decide to take a Photoshop or speech course, and then discover Macomb’s degree offerings have crossover. Spencer (center in photo, to the right of Professor Maria Ramos) had also taken the initiative to apply for an award from the Macomb Multicultural International Initiatives Study Abroad Fund, which helped offset some of the tuition and travel expenses. Spencer had never flown in an airplane before or traveled outside of the U.S. when she signed up for Professor Maria Ramos’ study abroad trip to Guadalajara. In fact, Spencer says, she never had any desire to travel at all until she began taking Ramos’ classes. Now, she is majoring in Spanish and Global Studies at Wayne State University and planning on joining the Peace Corp after she graduates – eying an assignment in a Latin American country. One of the highlights of the trip for Spencer was watching with the rest of Mexico as the Latin American country’s soccer team beat Germany in the World Cup championships held in Moscow. At the time of its loss, Germany was the World Cup holder and all of Mexico celebrated the unexpected upset. “It’s a day we will all remember,” says Spencer. 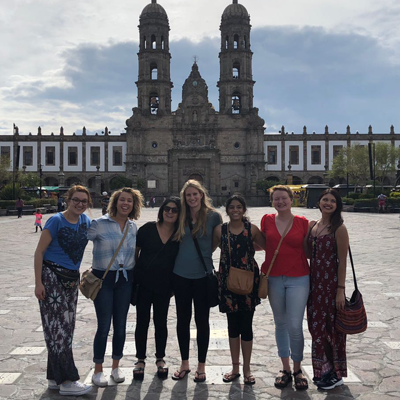 Some other standouts from her time in Guadalajara were the tamales her host family served frequently for dinner, visits to the historic city’s museums and strolling through the Tlaquepaque market. 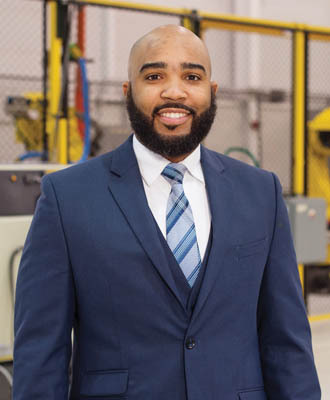 King Jermaine Jones was hired for a job two weeks before he even completed his robotics training at Macomb’s M-TEC facility in 2014, restoring his belief in himself and society in general. Confidence, Jones admits, was in short supply after five years in prison. The Detroit Central High School graduate was attending Eastern Michigan University when he ran into some “bad luck” that led to his incarceration. When he was released, his criminal record blocked most all of his attempts to enter the workforce via a minimum wage job. From that first robotics position, Jones progressed to another, and then another, each enhancing his skills and his salary, before reaching the level of robotics engineer. That’s when he decided that there were so many opportunities available to an individual with his skillset that he decided to make the leap to contract work. Jones’ most recent venture will be in Las Vegas. He has leased space in a mall and plans to open a fish spa, where patrons will dip their feet into a tank and experience an exfoliation like no other. He first came across one in Cancun, and then realized they were all the rage in tropical destinations. He believes they will catch on in the U.S., but, perhaps, he acknowledges, not in Michigan. “I did my research. About 40 million come through this Vegas mall annually, that’s like two to three times the foot traffic of 12 Oaks,” he says, no pun intended.